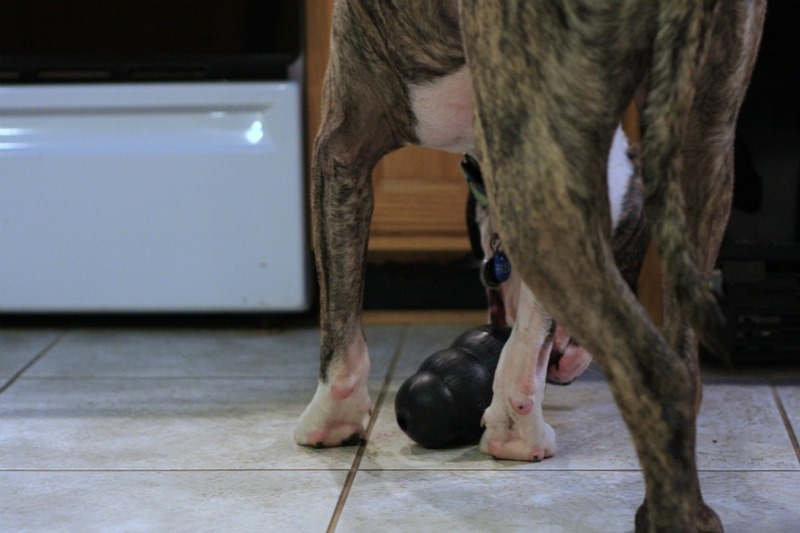 Many of you gave me some great advice on last week’s blog post about getting Otis engaged in his eating activities. 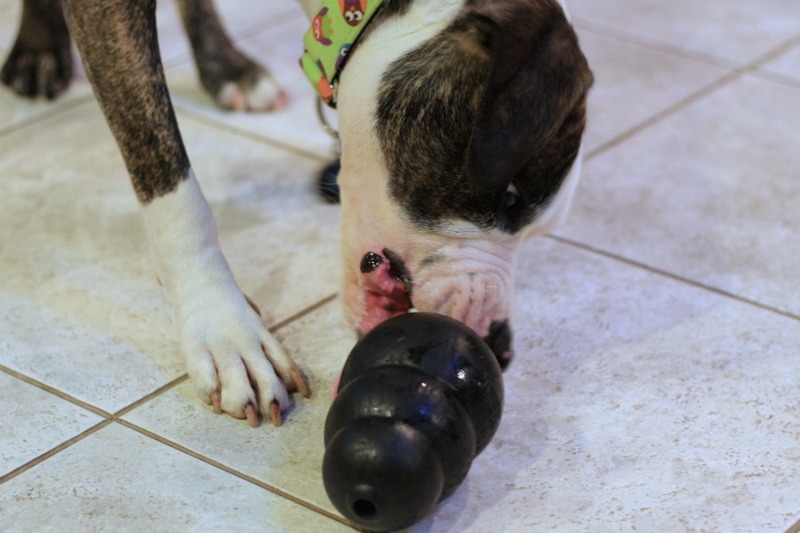 While I’m looking for mentally stimulating activities that really challenge him, I did start with just simple peanut butter in the Kong to see how hard Otis would work for it. The answer? Very hard. 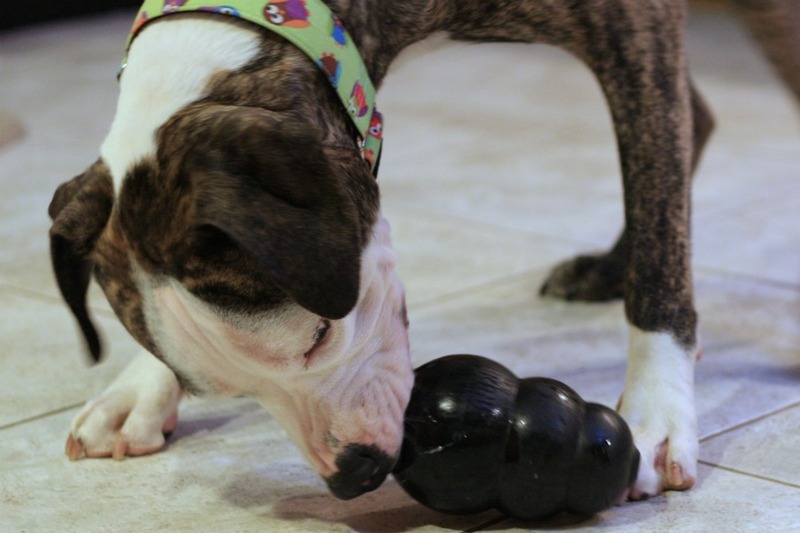 Thanks for all your tips – I’m looking forward to working more with Otis on his food drive, but for now it’s fun to watch him enjoy the simplicity of delicious peanut butter. 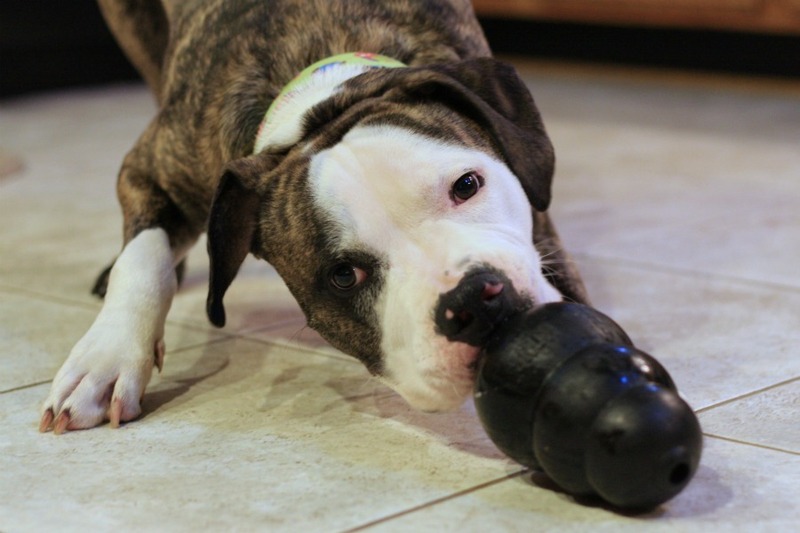 This entry was posted in Dog talk, Otis, Rescue/Humane Society and tagged dog with treat, eating, food drive, fostering, Kong, peanut butter, training, treat games. Bookmark the permalink. 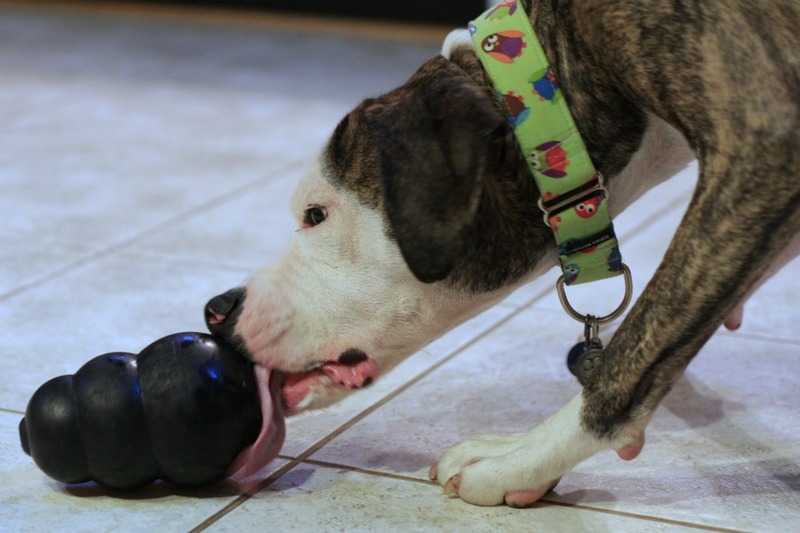 What a cute Otis tongue! Works like a charm! Just wait until you start freezing it – that engages them even longer! All mine love peanut butter too, but I’ve found that kraft easy cheese works just as well. 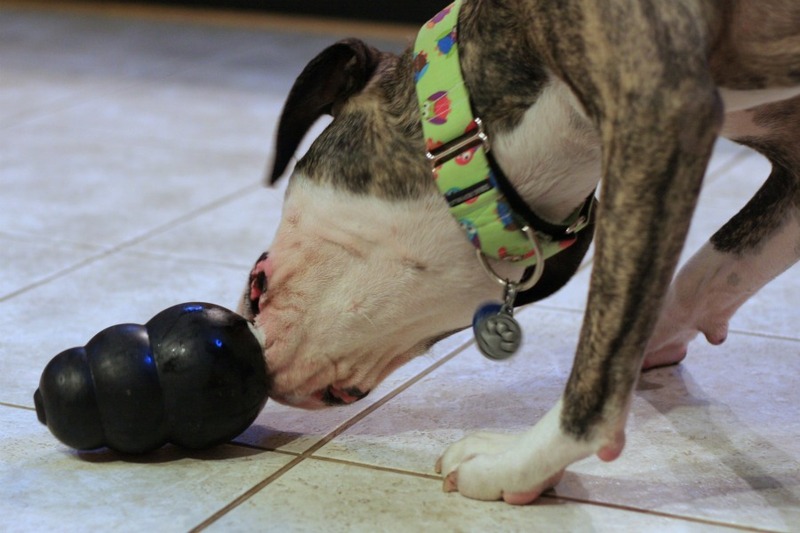 I got the idea at the pet store when I saw that they sell “filler” for Kongs that is liver flavor. It comes in the same kind of container as the cheese product. They even have bacon flavor ! I bought mine on sale at Big Lots for $2. I like to change it up and use cheese one time, then pnut butter the next. Forgot to add, the easy cheese is also wonderful for hiding medication too! Yay! I am so glad the peanut butter worked! He looks like he’s having a blast. 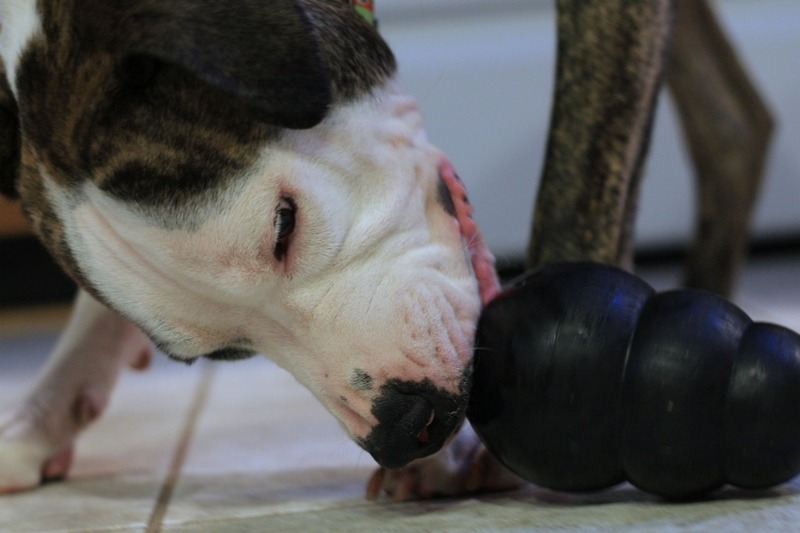 Ah, the peanut butter Kong…aka, doggie kryptonite!